After working 20 years in the printing industry for other owners, Mr. Frank Carter decided in 1937 he could do it himself just as well, if not better. He started Superior Printing Company on September 1, 1937, originally located at 130 Cone Street in downtown Atlanta. Mr. Carter's work ethic and love of the printing industry were legendary, and he and his wife Julia devoted their lives to Superior. Mr. Carter continued to come into the office every day, with his ever-present bow-tie, bowler hat and cigar, as long as his health allowed, well into his 90's. In 1964, Superior moved to 235 Simpson Street, where Frank and Julia enjoyed continued success for the rest of their lives. Mr. Carter passed on his passion for printing to long-time employee, Pierce Morris. 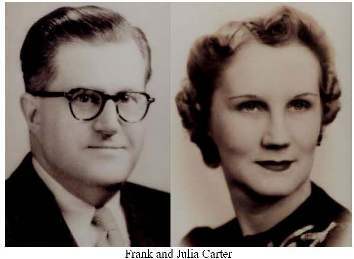 Pierce, and wife Carmen, purchased the company from Mr. Carter's heirs in 1997. By April of 1999, the land at 235 Simpson Street had been purchased by The Coca-Cola Company, and Superior had long outgrown the 5000 square foot plant. The decision was made to move to our current location at 1325 Logan Circle. Since our move from 235 Simpson Street, the Coca-Cola Company donated the land to the recently opened Georgia Aquarium. Where presses once stood now swim hammerhead sharks and beluga whales! Superior Printing Company has always been a family business. We consider our employees and customers to be part of our family also. We strive to give our customers the best personal service possible, which is why, when you call us during normal business hours, your call will ALWAYS be answered promptly by a person, not a machine. Our goal is to do whatever it takes to meet your time frame needs, and to provide the highest quality product possible within your budget and deadlines. Please call or visit our request page if you would like additional information about us.